Please select an option Black/rose gold Black/gold White/silver White/gold White/rose gold Please select a Color. The brainchild of third-generation jeweler Ian Afshar, Aquaswiss is the result of several years of design, development and inspiration. 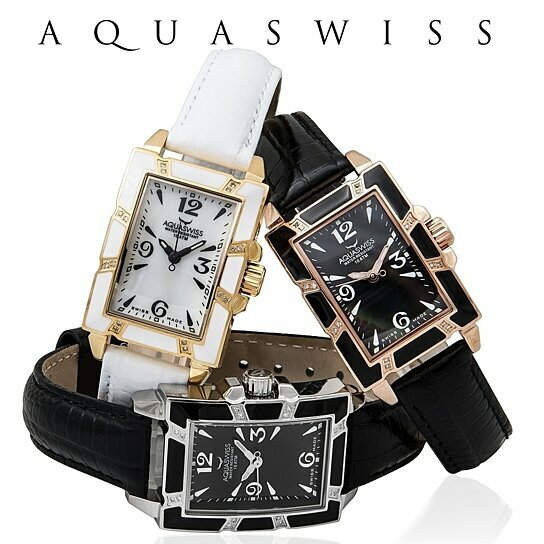 Afshar grew up in the watch world, with a family retail jeweler business that is nearly a century old. As a child, he worked in the family stores, familiarizing himself with product and people, and by the time he was 20 he was sourcing jewelry and watches from around the world. He became immersed in the fascinating world of watches and one-by-one began assisting others with design ideas. In the late 1990’s, Afshar decided to strike out on his own – with designs that would be unique to the industry.